These stylish ballpoint pens are from the Paris-based designer label Nino Cerruti. They feature a black gloss body with silver plated fittings and are supplied complete with a matching black and silver Cerruti pen case. 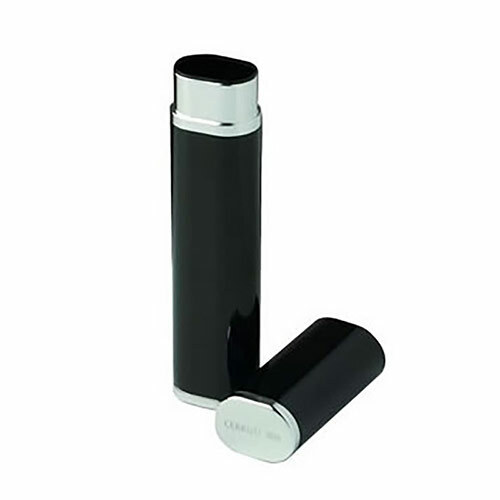 Ideal for engraving to create unique corporate gifts or branded promotional merchandise, these Cerruti pens are offered with free engraving of either the pen body or the case (engraving on the case allows for longer or larger messages, including logo branding). By adding your company or name to a pen from a luxury style brand such as Cerruti 1881, you gain the benefits of brand association as well as ensuring that your corporate pen gift will be well received and appreciated. A favourite pen, with your company name on it, keeps your name in front of mind of key clients, customers, contacts or suppliers every time they use the pen.